It’s quite rare that you call to check on an order you placed at a local business, and get an offer to then buy the entire business. But that’s what happened to Kiersten Hanna. While working at the Mendocino County Museum in Willits she commissioned production of panels for an upcoming exhibit from Braggadoon, the sign-making business in Fort Bragg. When she called to check on her order, she found out the owner had suddenly passed away and his widow asked her if she’d like to buy the business. While most people might have balked at the idea, Kiersten was looking for a new opportunity and had some savings, so she took the plunge. Her first step? Finding a place to live on the coast, which took about four months. Next up, she had to quickly learn how to use all the equipment in the shop, much of which was outdated. She slowly began to replace it while burning the midnight oil learning how to make it all work. “I worked late into the night, just teaching myself how to use the equipment and I felt alone for a long time,” she recalls. Enter West Business Development Center. Kiersten continued her struggle on her own until tax time, when she reached out to WestBDC for help. Quickbooks were a mystery and the former owner’s books were left in disarray. West Business Development Company provided a free financial advisor, who worked intensively with Kiersten that tax season and continued to check in every quarter for a year and a half. In her fifth year of business, Kiersten has achieved 20-30% growth every year. She says that for the former owner, this was a passion project and he worked at his own pace. Having brought two independent contractors to the production team at Braggadoon, they are now able to work at a much faster pace and offer a wider variety of service to a larger clientele. Braggadoon offers both signage and fine art reproduction, so they are able to serve business owners as well as local artists. 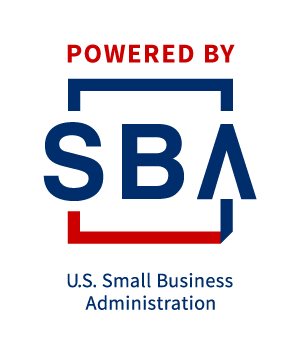 If you are a business of one or a company of 100 employees, at any stage from startup to established, WestBDC offers free business advising -- on whatever topic you might be stuck on. If it’s finding the right loan to expand, staffing your business with the right people or even just wading through new minimum wage requirements, we have experts ready to help you right now. Click here to sign up for free advising. We’ll schedule a free, thirty-minute call and then we’ll assign you the free expert advisor you need. Are you a woman-owned business? Please join us for our monthly networking events where you can meet other women entrepreneurs and share best practices, knowledge and make friends. Stay tuned to this space where we’ll be posting workshop descriptions, pricing and links to register or sign up here for our newsletter so you don’t miss a thing. If you have a business already, are just starting one up or thinking about turning your passion into a business, WestBDC has a workshop just for you.